FRIDAY, APRIL 5; 8 p.m.
Cal State L.A. hosts the high-energy ensemble of musicians on the Asere tour, showcasing Cuban music like the cha cha, the rumba, son cubano and salsa. 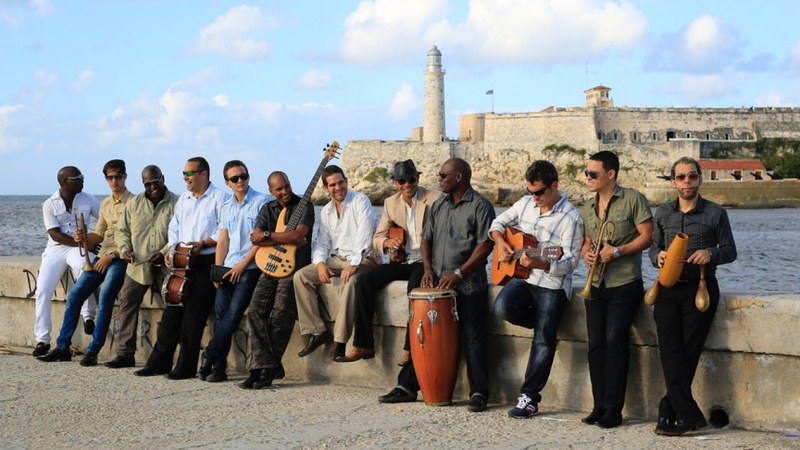 The ensemble is joined by three of Cuba's finest dancing couples, who will perform. A production of Les Miserables goes off the rails when the (human) lead actor playing Jean Valjean goes missing. A friendly puppet offers to play the role although he's never seen the show. The puppet and his buddies band together to try and transform the musical into something Victor Hugo could have never imagined. Be prepared for improv, audience interaction, parody, original music and puppets with potty mouths. The show runs Fridays and Saturdays. One of SoCal's largest spring festivals, it features more than 100 exhibitors, food, arts and crafts, a free health fair, a chalk art contest, live entertainment and amusement rides for all ages. FRIDAY, APRIL 5; 7:15 - 10 p.m. The fourth season of the musical and cultural series celebrating Latin American bolero music returns with an evening of female bolero performers repping a new generation of immigrants and Mexican-American artists. The program includes live performances by Margarita Luna, Tres Souls and Martha Gonzalez of Quetzal. THROUGH SATURDAY, APRIL 6; 8:30 p.m. I fly! Or How to Keep the Devil Down in the Hole. REDCAT — 631 W 2nd St., downtown L.A. The Los Angeles Poverty Department collaborates with Skid Row residents to create theater works about issues affecting the community. This new work looks at the meaning of "public safety." "What's a low-income neighborhood of color to do, targeted by the police, with lethal outcomes? What to do beyond despair, beyond protest?" Expect music, dance, drama and a look into Skid Row that you probably haven't seen before. FRIDAY, APRIL 5; 5:30 p.m. The live music and discussion series explores California's natural disasters and this week's program focuses on drought. The night kicks off with "Secrets from the Vaults," a discussion with museum experts, hosted by science correspondent and Ologies podcast host, Alie Ward. Music performances by Harriet Brown at 8 p.m. and Drama at 9:15 p.m.; DJ sets by Novena Carmel and Tomi Tribe. FRIDAY, APRIL 5; 7:30 p.m.
After the sun sets, guests can watch Lady Gaga and Bradley Cooper heat up the screen under the stars. Tickets include complimentary valet parking and popcorn. Bring your own blankets and low chairs for the spacious lawn. Beer and wine will be available for purchase for those 21+. This event is open for those ages 18+. SATURDAY, APRIL 6; 9 a.m. - 2 p.m. 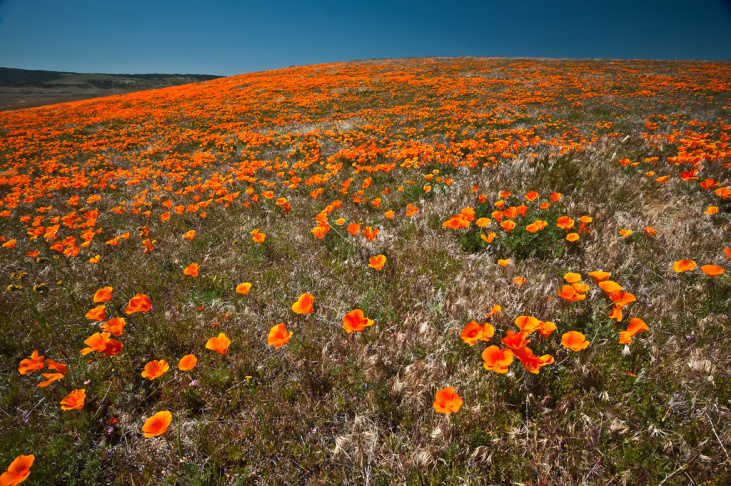 The Off-Grid Hiker offers a trail hike in the Poppy Reserve. Meet up up at the Visitor Center, where you'll find multiple hiking options including one that's 5.5 miles. Remember to stay on the trails and don't pick the flowers (check out Poppy Etiquette 101). Bring a hat, sunscreen and water but leave the dogs at home. An optional lunch potluck follows the hiking. SATURDAY, APRIL 6; 11 a.m. - 5 p.m. The L.A. Record Pool joins the weekly vintage fair at Zebulon, bringing vinyl goodies on the first Saturdays of even months. The family-friendly shopping pop-up features DJs and food and drink specials. 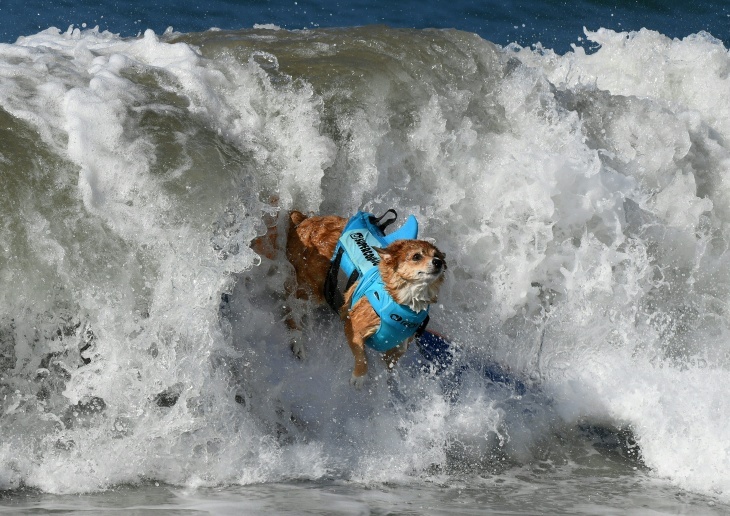 SATURDAY, APRIL 6; 10 a.m. - 3 p.m.
With the theme "Corgchella," hundreds of Corgis, other breeds (aka #honorarycorgis) and their humans gather for music, dance and fun competitions. The day includes a cutest Corgi cardigan, best Corgi costume and Corgi limbo contest as well as vendors, a pet psychic and a dance "pawty" in a bacon-flavored bubble pavilion. SATURDAY, APRIL 6; 3:30 - 6 p.m.
April Clemmer, creator of the Old Hollywood Walking Tour, and Danny Jensen, co-author of the book 100 Things to Do in Los Angeles Before You Die, lead a special edition of the tour to several Tinseltown locations, from old favorites to hidden hotspots. The tour ends with a Tiki-inspired cocktail at Lono. Meet at the Hollywood Property Owners Alliance (6562 Hollywood Blvd., Hollywood). Advanced ticket purchase required. SATURDAY, APRIL 6; 12 - 8 p.m.
Los Angeles Center Studios — 450 South Bixel St., downtown L.A.
Did we have you at "beer"? Now in its 11th year, this popular festival returns with dozens of international and domestic brews, live entertainment and more than a dozen food trucks (food sold separately). Choose from two sessions (noon to 3 p.m. or 5 to 8 p.m.) that include unlimited beer tastings. The VIP tickets include air conditioned bathrooms, taco bar, an indoor/outdoor event deck and limited beers/one-offs not available to general admission. This event is 21+. SATURDAY, APRIL 6 - SUNDAY, APRIL 7; 10 a.m. - 5 p.m.
Take part in a self-guided tour through some of L.A.'s inspiring home landscapes, from Sun Valley to Playa Vista. At each of the 29 locations, chat with garden owners, designers, docents and other gardeners. Learn about native plants, garden design and wildlife habitat. Ticket prices cover both days. The Pacific Opera Project presents the first ever true-to-story bilingual production of the Puccini opera. With a new libretto written by POP artistic director Josh Shaw and Opera in the Heights artistic director Eiki Isomura, the production attempts to answer the question: How would Butterfly and Pinkerton communicate? All Japanese roles will be sung in Japanese by Japanese-American artists and all American roles will be sung in English. Every singer in the chorus is also Japanese-American. SATURDAY, APRIL 6; 11:59 p.m. The Secret Movie Club screens Pedro Almodovar's 1999 film, about a mother who searches for her late son's transgender father, who never knew she had a son. The film is part of the club's ongoing conversation series. The discussion focuses on LGBTQ cinematic voices, with a special focus on Almodovar's career. The conversation begins at midnight with the film starting no later than 12:30 a.m.
Party like a Viking this weekend while celebrating the cultures (and food) of Denmark, Finland, Iceland, Norway, Sweden and the Sami people from the Arctic regions of Scandinavia. Check out a Viking village, cooking and craft demonstrations. Take part in family-friendly activities and shop specialty vendors. Bring an appetite to taste lefse (flatbread), Viking Dogs, pastries and Æbleskivers (donut balls), then work off the calories as there's a headlining performance by Abba tribute band Abbafab. SATURDAY, APRIL 6 - SUNDAY, APRIL 7; 11 a.m. - 6 p.m. The Brewery — 642 Moulton Ave. #E19, downtown L.A. The spring edition of the twice-annual open studios event returns this weekend, featuring more than 100 artists opening their workspaces to the public. The select studios are spread across the Brewery's 16-acre campus, so bring good walking shoes. Meet and chat with the artists and buy pieces from them directly. SATURDAY, APRIL 6 - SUNDAY, APRIL 7; 1 p.m. The festival expands to two days this year with brews, tacos, lucha libre-style wrestling, lawn games and live performances from bands including The Offspring, Flogging Molly, Bad Religion, Descendents, Good Charlotte and Black Flag. There are up to four hours of unlimited craft beer tastings (for ticketholders 21+) featuring more than 150 craft beers. Craft tacos from local restaurants and trucks will be available for purchase all day long. The event is all ages. SATURDAY, APRIL 6; 7 - 10 p.m. 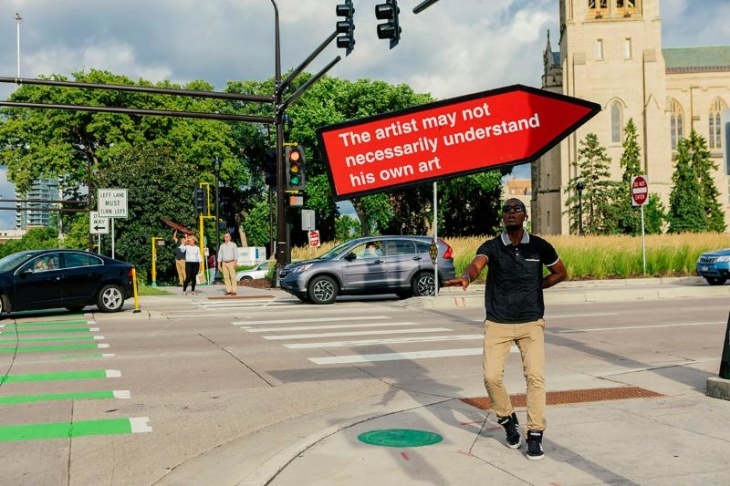 The contemporary arts center continues its 20th anniversary celebration with giveaways, interactive performances and cake. During the Downtown Santa Ana Art Walk (which also takes place on Saturday), sign spinners will perform on intersections throughout downtown Santa Ana, converging on the 2nd Street Promenade to perform together. The performance is part of Yumi Janairo Roth's ongoing artist-in-residence project, Spin (after Sol LeWitt). SATURDAY, APRIL 6; 9:30 - 11:30 a.m. The Music Center's Dorothy Chandler Pavilion — 135 N. Grand Avenue, 5th Floor, downtown L.A.
Dance and mingle with members of the Alvin Ailey Dance Theater at a special after-party, following the company's Saturday night performance. The ticket includes wine, beer and light bites. SATURDAY, APRIL 6; 6 - 9 p.m.
Fava L.A. presents a night with San Francisco's Prubechu, offering a taste of Guam in Hollywood. Sample seafood, coconut and Austronesian influences combined with seasonal California fare. Menu items include Motsiyas chicken sausages, shrimp pancakes and a whole roasted branzino in a banana leaf. No reservations needed. They'll serve the food until it runs out. SATURDAY, APRIL 6; 7 - 11 p.m. The House of Machines — 2028 E. 7th St., downtown L.A. Global Inheritance holds a party to celebrate the unveiling of the artist-designed recycling bins that will be used at the upcoming Coachella. Enjoy a night of drinks, music and view the full collection before they roll to the festival. This event is 21+ after 8 p.m. The L.A. County Library holds a used book sale at all locations that are regularly open on Saturdays. Find all genres, including mysteries, cookbooks, biographies, picture books and children's books in the largest book sale in the county. The event coincides with National Library Week (April 7-13). The Launch Event will kick off their 30-day celebration of all things science, technology, engineering, and math (STEM) in L.A. County. With nearly 100 exhibitors and interactive STEM activities from dozens of organizations around Southern California, there will be a lot to do indoors and outdoors at this science festival. Special guests include Bill Nye, Marvel Studios, and the band OKGo. SUNDAY, APRIL 7; 11 a.m. - 6 p.m.
Head to the museum's temporary home for a day of programming to celebrate the opening of seven new exhibitions. Meet the artists and learn about their work through gallery talks and performances. The day begins with Monster A. Performance Session: Monster Mom from L.A.-based performance artist Matt Savitsky (a.k.a. Minty) activating artworks created by Victoria Fu and Matt Rich. SUNDAY, APRIL 7; 2 - 6 p.m. The Tree South LA — 8227 S. Western Ave., South L.A.
Join community activists, helpers and healers as they hold space for grief about the death of Nipsey Hussle. Born Ermias J. Ashghedom, the 33-year-old rapper, businessman and activist was shot last Sunday, allegedly over a "personal matter." SUNDAY, APRIL 7; 7 p.m. Conductor Jeffrey Schindler leads the symphony through a concert program, The Marvelous Mr. Mendelssohn, which includes the composer's Hebrides Overture (Fingal's Cave), Violin Concerto in E Minor, and Symphony No. 4 "Italian." The concert features 24-year-old violinist Blake Pouliot, the grand prize winner of the 2016 Orchestre Symphonique de Montréal (OSM) Manulife Competition. SUNDAY, APRIL 7; 7:30 p.m. The quintet of native South Carolinians returns to L.A., bringing music inspired by region's Gullah culture (primarily descendants of West African slaves). 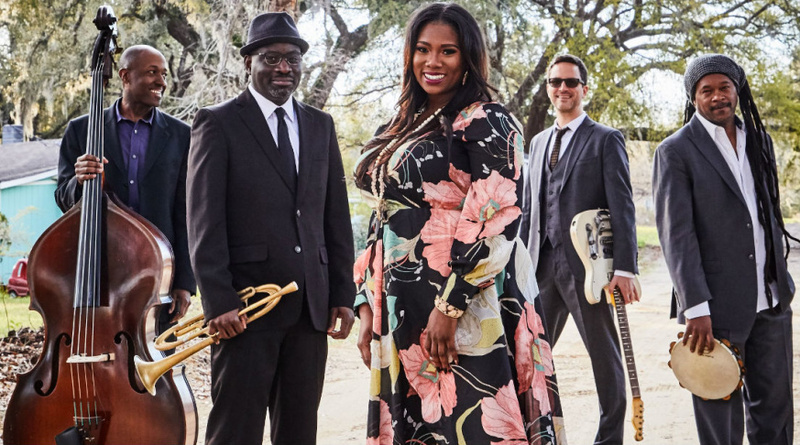 The band mixes low country traditions with soul, jazz, gospel, funk and R&B, traversing the musical spectrum: From escstatic heights to heartbreaking spirituals and lullabies. Get to the venue in Santa Monica (and not the Broad in DTLA) early at 6:45 p.m. for a spotlight talk on the band with Santa Monica College Professor Dennis Parnell.